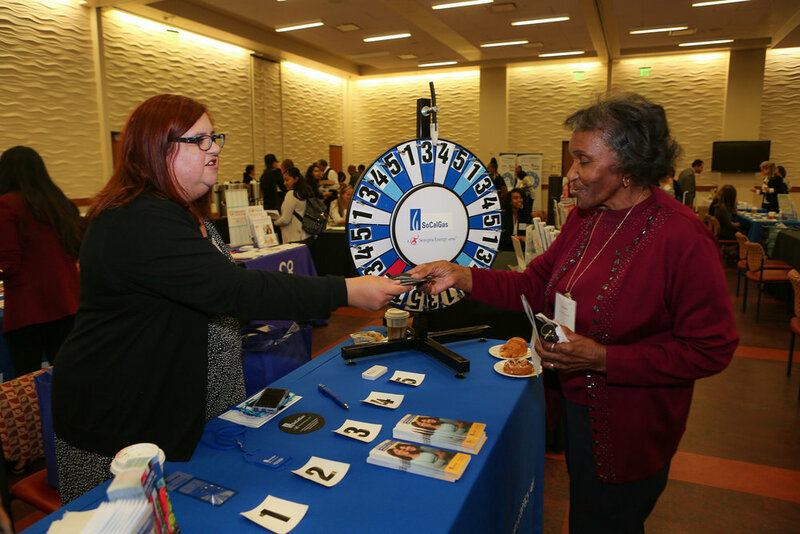 On Friday June 1st, 2018, SBSS held the Los Angeles Aging Advocacy Coalition's 9th Annual Summit on Aging. Held at the USC Ronald Tutor Campus Center Ballroom, this year's summit welcomed more than 300 advocates. Our conference featured expert panels discussing policies on aging, resources to support continued knowledge and offer tools as well as networking opportunities. It was during these panels and discussions that we were able to take a deep dive into pressing issues affecting the aging community. We looked into the current landscape of healthcare, housing and immigration, while also touching upon how the media, funders and individuals play a role in shaping aging policy. Every Summit, LAAAC honors an individual who has demonstrated an extraordinary commitment to aging advocacy, made outstanding contributions to the health and well-being of older adults and caregivers in Los Angeles County, and has demonstrated effectiveness as an advocate for seniors and their caregivers. This year, LAAAC honored two exceptional advocates. 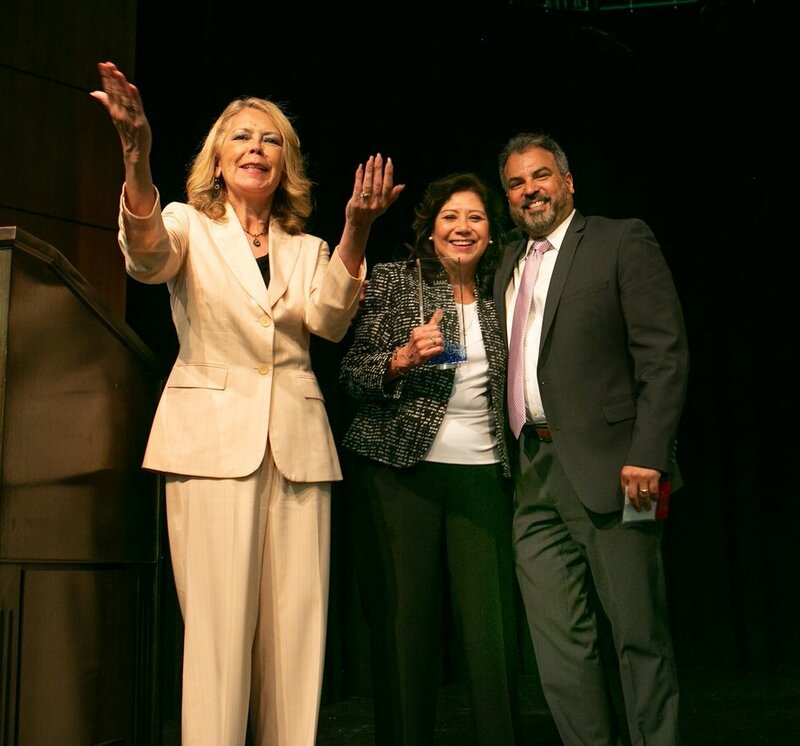 LAAAC was proud to present the 2018 LAAAC Legislative Champion Award to The Honorable Hilda L. Solis, The Los Angeles County Supervisor of the 1st District. 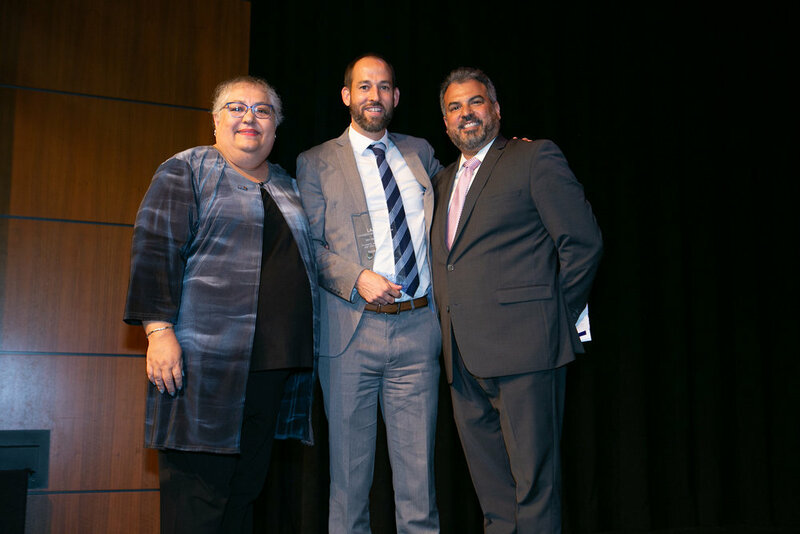 The LAAAC 2018 Champion Award was presented to Kevin Prindiville, Executive Director at the Justice in Aging. Supported by a grant from The SCAN Foundation - advancing a coordinated and easily navigated system of high-quality services for older adults that preserve dignity and independence. For more information, visit www.TheSCANFoundation.org. Once again, thank you to all our generous sponsors, planning committee members, speakers and attendees for a successful Summit! We look forward to seeing everyone at our 10th annual Summit next year! For more pictures, visit LAAAC's website. On August 14th, 2017, SBSS' Mid-City Senior Center had the honor of hosting Congressman Jimmy Gomez for our Social Security birthday celebration. In partnership with Social Security Works, we were excited to celebrate the 82nd anniversary of such an important program for the older adults we serve. Thank you Congressman Gomez for continuing our work to preserve programs that help older adults in our community! On August 10th, 2017, we had the honor of hosting Assemblymember Miguel Santiago at our Mid-City Senior Center. In addition to answering constituents' questions, Assemblymember Santiago shared updates about the important legislation he is working on to help improve the lives of older adult in our community, while also generously donating lunch for the day. We are proud to work alongside Assemblymember Santiago, championing for the issues that matter to older adults in LA. On Friday, March 17th, 2017, SBSS partnered with Assembly Member Miguel Santiago, Fight4OurHealth Coalition, SEIU Local 2015, Justice In Aging, and older adults to hold a rally and press conference at SBSS Mid-City Senior Center opposing the Affordable Care Act repeal. The changes to Medicaid proposed by Congress will make it more expensive for older adults to access basic health care services, as well as long-term services and supports that allow them to age at home and in the community for as long as possible. During the press conference, over 100 older adults and community members joined together to spread awareness of the negative impact the American Health Care Act will have on our communities. Thank you ABC 7, KCAL 9, Univision, and Estrella TV for airing the story and helping to spread awareness of issues that negatively effect older adults in our community. SBSS' AGEnts for Change, Hermie Cruz and Orlando Estrada are featured in some of the clips, as well as our partners Health Access California, Social Security Works and Justice in Aging.